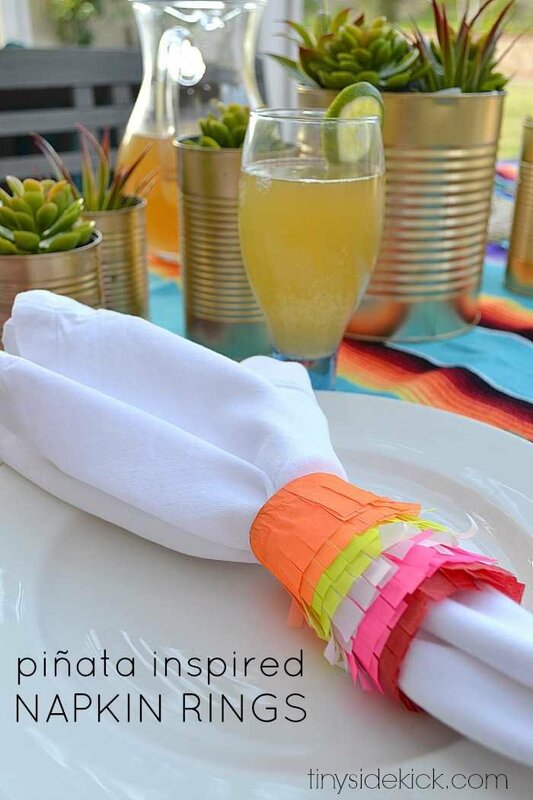 Inside: Make these easy piñata inspired napkin rings to add fun color to your Cinco de Mayo tablescape! 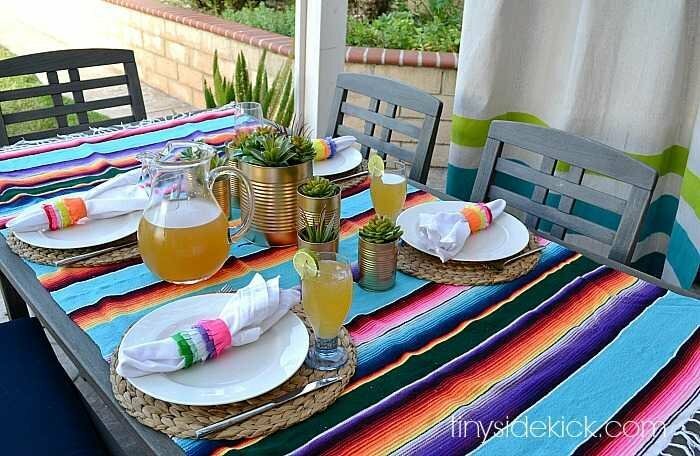 This beautiful Mexican blanket made for the perfect tablecloth and inspired the colors on these easy piñata inspired napkin rings to add even more color to my Cinco de Mayo tablescape. Anyway, beyond the tablecloth and the napkin rings I kept everything else really simple and neutral. It ended up being one of my favorite tablescapes yet! 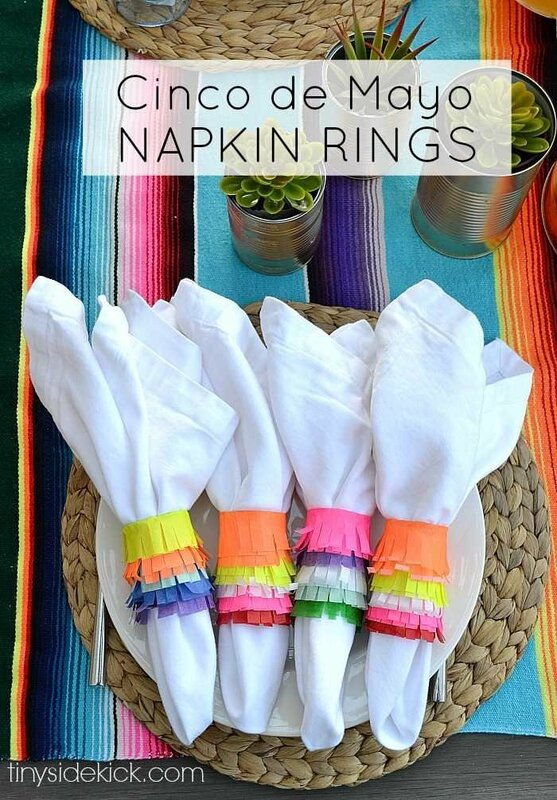 Chances are you already have the supplies you will need to make these piñata napkin rings on hand. Before you begin, you will want to decide on a color scheme for each ring. 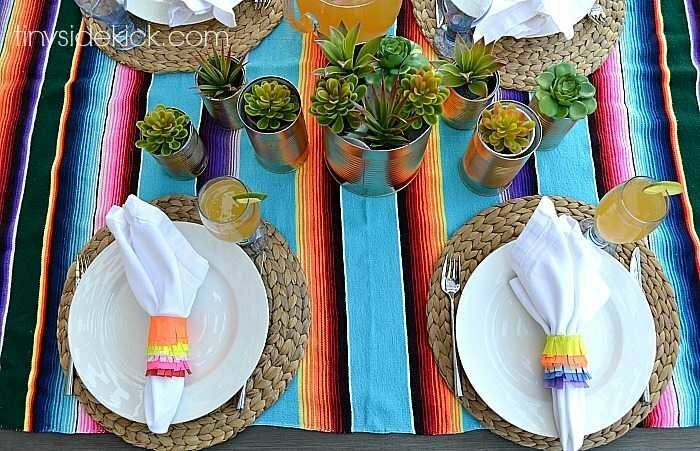 I pulled color combos from the Mexican blanket that I used as a tablecloth to guide my mix of colors. 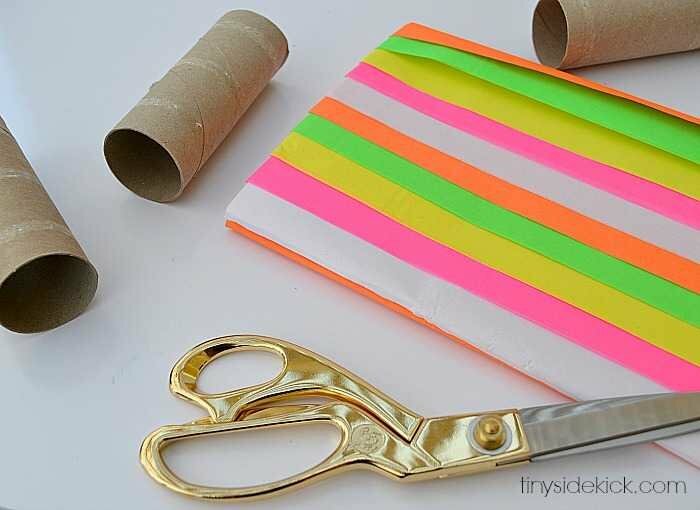 Step 1: Cut strips of tissue paper about 3 inches wide. 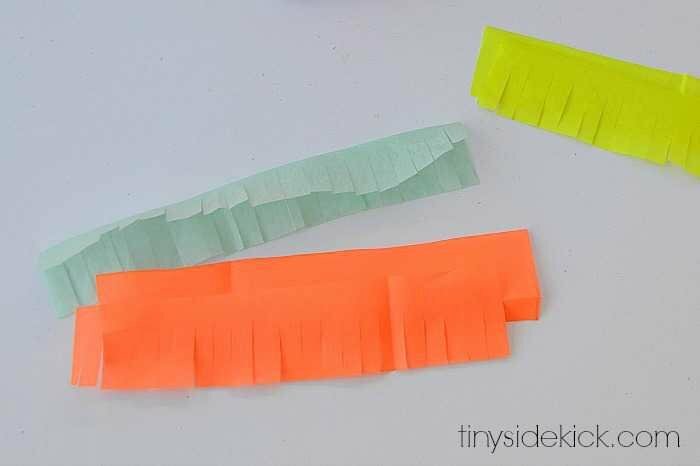 Step 2: Fold the stack of tissue paper strips in half length wise and then in half again until you have about a 4-5 inch rectangle. Step 3: Cut into each long edge about 3 inches leaving about 1 inch in the middle. Try to make your cuts evenly spaced. 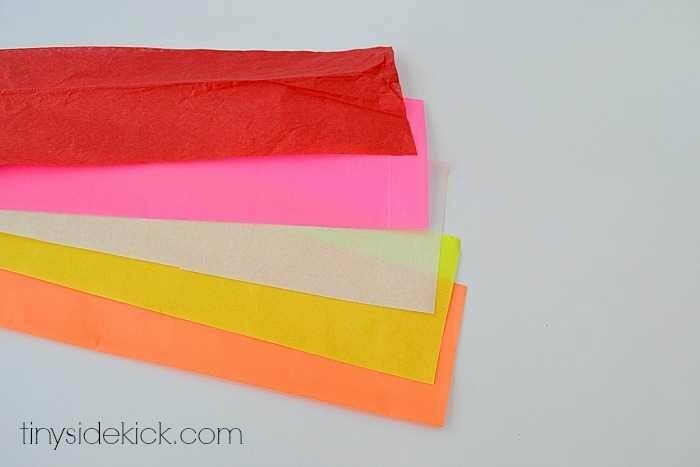 Step 4: Unfold your stack and separate the tissue paper. Step 7: Now brush glue around again applying it to the top edge of the strip you just attached and the toilet paper roll, and add your second strip of tissue paper. Repeat this process until you get to the top color. For the top piece you will want the top edge of the strip to go above the edge of the toilet paper roll by about 1/2 an inch. Step 8: Now brush a little bit of glue inside the top edge of the toilet paper roll and gently fold the tissue paper over to finish it off. 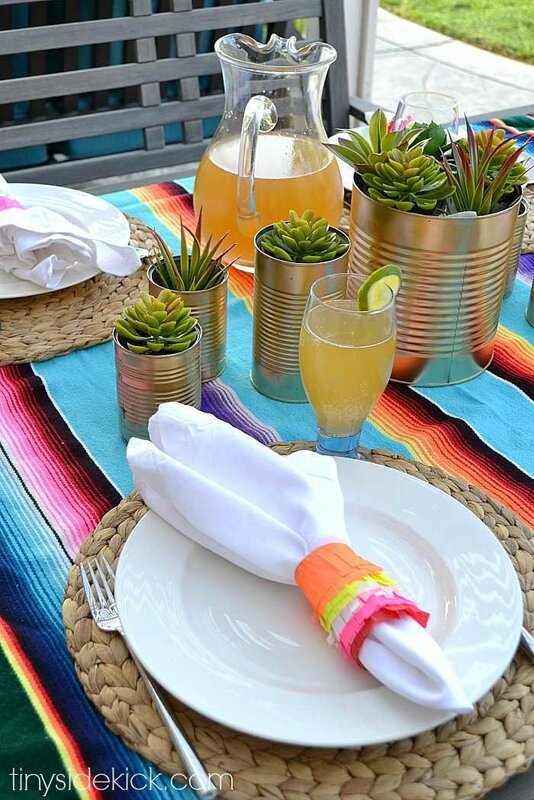 I pulled white napkins through each so that the colors really popped. I just can’t get enough of these colors! They remind me so much of when I studied in Mexico. This blanket doesn’t do justice to the handwoven textiles that I remember so well, but it does jog those amazing memories of a place that I hold so near to my heart. Love these and I’m going to make some too. These are adorable Corey! 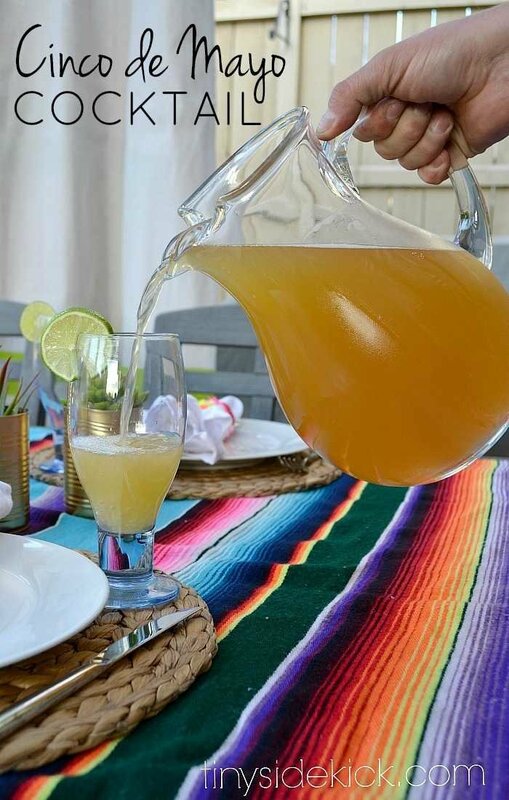 I’m already dreaming about margaritas! Wow, these are cute, cute, CUTE! Pinned! Thanks Valerie! I love all of the colors! Well, I’m crazy in love with these simple napkin rings. 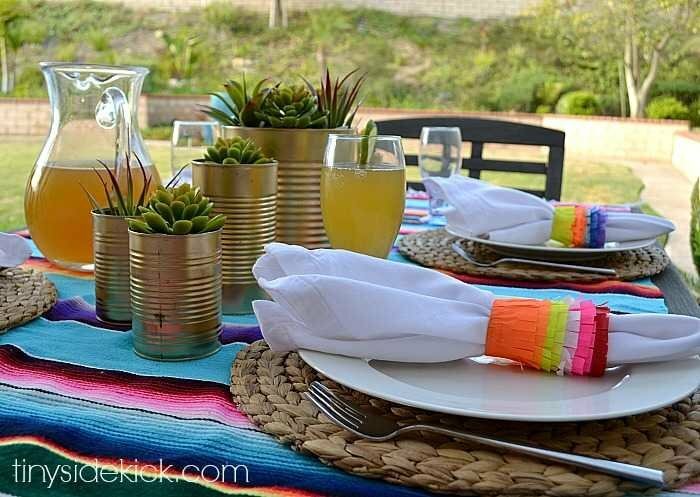 So brilliant… now I need to get myself over to this Cinco De Mayo party of yours!